5 zone spine- support pocket spring. 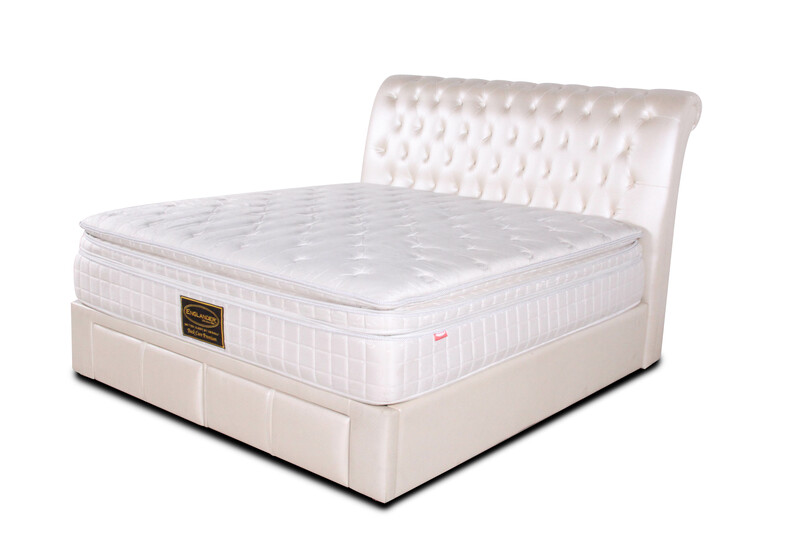 Englander Synergy foam c/w 100% natural latex firm padding & Pressure relieving memory foam. Luxurious box top + pillow top with lace.